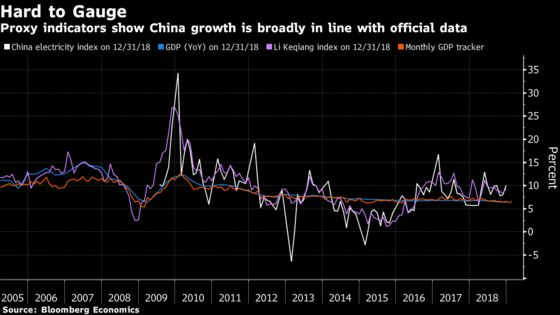 (Bloomberg) -- Extreme seasonal effects from the lunar New Year holiday make it hard to gauge the growth trajectory in China and additionally, there’s deep uncertainty about the credibility of the official data. Bloomberg Economics says such concerns are overdone: Even taking account of seasonal factors, China’s start of 2019 credit growth looks strong. BE’s proxy indicators show growth broadly in line with the official data -- 6.6 percent in the latest reading.